Bond Exterminating Co Inc, is a locally-owned, community oriented pest control company that has been operating in Northeast Ohio for over 26 years. They handle all forms of pests—insects, birds, and rodents—and are gearing up for a very busy season. If you live in Northeast Ohio, and believe that you may have a pest problem, Bond Exterminating is the company to call. Bond Exterminating is licensed and certified. Twenty-six years ago, when Bond Exterminating owner Nancy traveled to Cleveland to become licensed, there were over 400 other people there for the same reason. Nancy was the only woman. Nevertheless, she took her test, obtained her license, and opened Bond Exterminating. The business is not only locally-owned, but also employs locally. Bond Exterminating does not use any subcontractors, and keeps revenues in the community. You know that you can count on a business with such strong ties to the community to provide you with the best possible service, and to always be there when you need them. And need them, you may. With spring already upon us, the coming months are likely to be unusually busy for Bond Exterminating and pest control in general. While the mild winter made getting around Northeast Ohio much easier, the lack of extended deep freezes means that many pests that normally would have perished survived. The early arrival of spring means that breeding season has come early, as well. 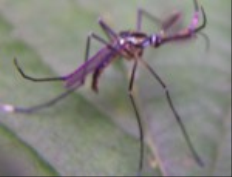 To top it all off, the rains have left plenty of areas of standing water, of which mosquitoes are particularly fond. If insects or other pests begin to become a problem for your home or business, do not wait until you are overcome: call Bond Exterminating right away! Nancy and her team will be happy to provide you with a free, no obligation quote. With their outstanding prices, there’s little doubt that you will want to hire Bond Exterminating to rid you of your pest problem. Bond Exterminating does both residential and commercial pest control, and even performs mosquito fogging to control swarming for area communities and villages, particularly those near small lakes and ponds that can be breeding grounds for the pests. They also perform HFA and other inspections for wood destroying insects like termites and carpenter ants, and next month they will begin their annual bee spraying. Insects and other pests don’t work on a nine-to-five schedule, and neither does Bond Exterminating. Evening and weekend jobs are not uncommon for this pest control company, and they encourage you to contact them sooner rather than later if you feel that you may have problems with ants, bees, mosquitoes, rodents, birds, termites, or any other pests. For more information or to schedule an appointment for your free quote, call locally-owned and operated Northeast Ohio pest control specialists Bond Exterminating Co Inc. today at 800.733.4007 or use one of the local numbers below! This entry was posted in Pest Control and tagged Bond Exterminating, locally-owned pest control, pest control northeast ohio by admin. Bookmark the permalink.